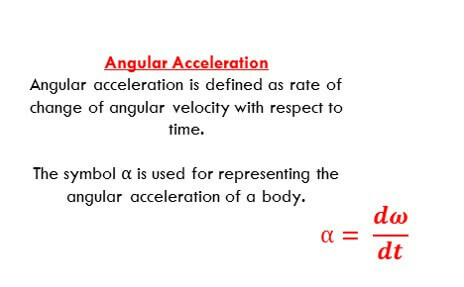 Angular velocity is the rate of change of angular velocity with respect to time. If unit of angular velocity is rad/s then angular acceleration is measured in terms of rad/s2. Learn other Basic Electrical Engineering formulas.